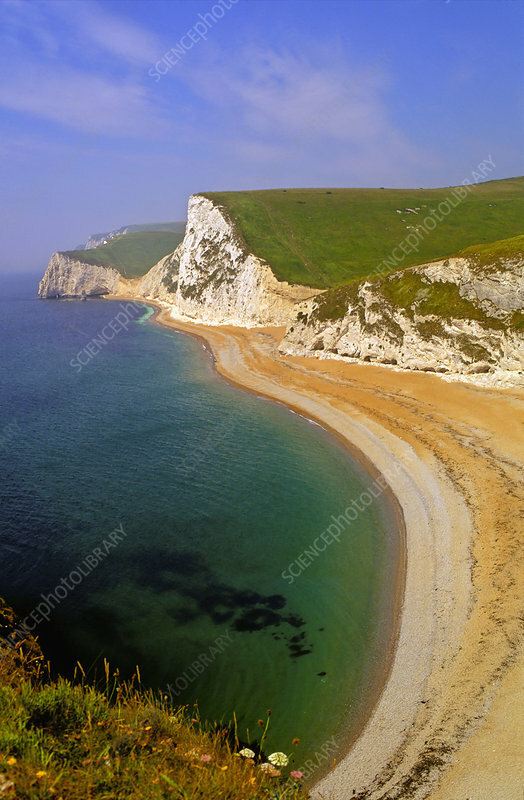 White chalk cliffs and various types of coastal erosion. The beach pebbles are flint or chert. Dorset, England. Note one beach walker on the lonely shore.